LG has now confirmed its G4 handset supports Qualcomm's Quick Charge 2.0 technology, after being quite insistent it wouldn't be available. The technology for Snapdragon wielding smartphones allows you to charge up your phone much quicker than before – a feature previously seen on the LG G Flex 2 – yet the company explicitly said it wasn't available on the G4 at the launch event. Since then, LG has confirmed to Android Central the feature is available and the G4 has appeared on Qualcomm's Quick Charge 2.0 pages confirming it'll be there on day one. It begs the question why LG has kept it as a hidden feature – if we had to speculate we'd think it was down to the G4 boasting a Snapdragon 808 processor that hasn't been used on any flagship devices yet. But it's coming, so there's now no need to worry. Phew! 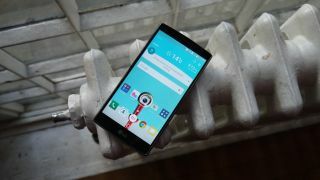 The LG G4 isn't here yet though but in the meantime you should read our hands-on review.